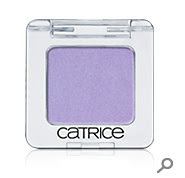 By popular demand (=P) here's my post on Catrice Cosmetics! High-quality, colour-intense and expressive – with CATRICE you can experience the current trends on the catwalks for yourself. Colours with a high level of pigmentation and innovative textures are the inspiration for a new dimension of make up and a perfect look. This is what they state on their website.... Catrice is currently available in Germany, Austria and Switzerland, which is a big luck for me since I study in Lugano! I've recently discovered one of their stands and I honestly couldn't resist! As soon as I swatched the product on my finger I was almost shocked by the intensity of color and the pigmentation of the shades! Absolute Eye Colour Mono... Absolutely amazing! I really think so! They are cheap, highly pigmented and gorgeous! Their packaging is almost identic to the shu uemura one. Here you can see shade 190 "Petrol Keeps Me Running", a shimmery petrol green and shade 140 "The Captain Of The Black Pearl" a gorgeous black with silver shimmers in it which I have dropped and pulverized =(. 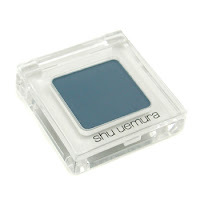 These eyeshadows are finely milled and very pigmented. They cost 5,50 Frs.- which is around 4€! Amazing price for their quality! Each eyeshadows contains 2g of product and they're made in Germany. They last 24 months after being opened. 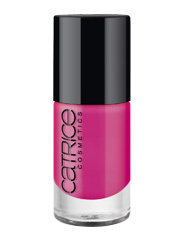 Ultimate Nail Lacquer Catrice is becoming famous for their nail polish range. They are available in 32 colours with a flat brush for a precise application. I haven't tested them yet, but I'll try some of them very soon! 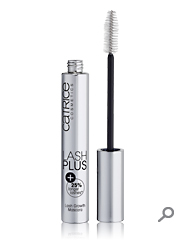 Lash Plus Lash Growth Mascara and Intensive Lash Growth Serum: a magic combo! 25% longer lashes in just one month? In scientific tests proved! I have purchased the Serum without the mascara, but I plan to buy it too so I can test them to see if they effectively work. The serum costs around 10€ which is a reasonable price, but I want to verify if it works to review it properly! That's all for now! 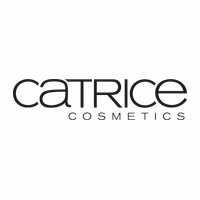 Have you already had the chance to try any of the Catrice products? Let me know! Dai noi si trovano solo le limited edition nelle Coin! Comunque questa marca ha prodotti fantastici! tra due settimane vado a Berlino! non vedo l'ora di provare qualcosa! Non c'è tutta la scelta come in Germania, ma smalti e palettine ci sono sempre! wow davvero? non lo sapevo! forrse perchè, appunto, alla coin qui a Como non l'ho vista...ricontrollerò =P grazie! non ho ancora visto in giro questa marca ma gli ombretti sembrano proprio bellissimi, soprattutto quello blu/azzurrino! Oggi poi ho scoperto che qualcosina la tengono anche da Bipa, che è una linea di profumerie aperta da un paio d'anni dalle mie parti! Da quanto so si trova nel norditalia, quindi magari anche da te! Li ho visti alla coin accanto ai prodotti essence ma non li ho mai provati ancora. proprio oggi ho fatto anche io un post su questa nuova marca "sorella" della Essence! Ho preso un ombretto della limited edition e non è per niente male! uffi qui da me non si trova...gli ombretti sono bellissimi!!! L'ombretto blu è stupendo! Peccato che qui da me Catrice ancora non si trova..
@Des se riesci a trovarla te la straconsiglio!! anche io ho preso il 190 "Petrol Keeps Me Running"!!! lo devo ancora provare sull'occhio ma sembra uno spettacolo! !